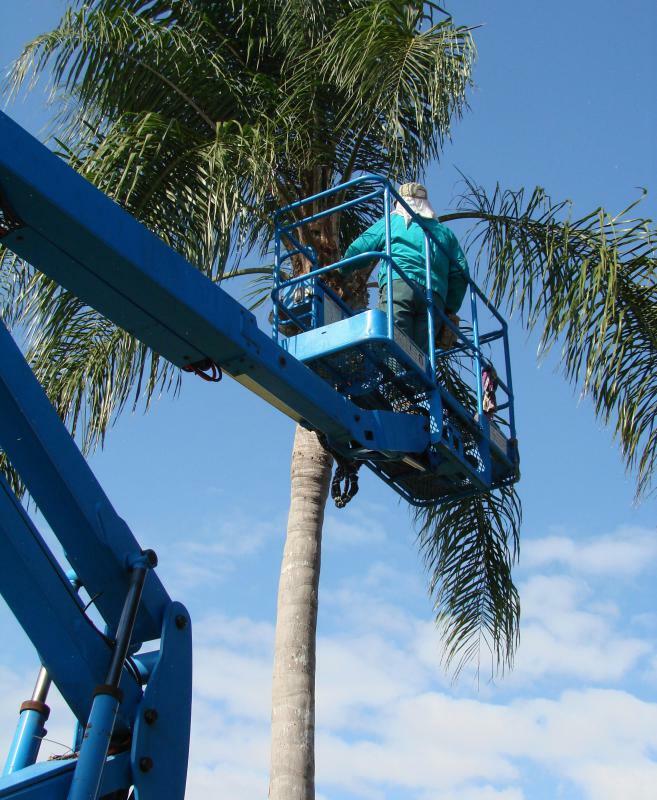 A bucket truck enables a worker to conduct work in high places, such as treetops. Utility workers commonly use bucket trucks to access wiring. A bucket truck is a vehicle with a hydraulic platform capable of lifting a worker in a bucket to access projects on utility poles and rooftops. The bucket keeps the worker and tools secure while she works, and contains controls for her to operate the device without the need for a second worker to control the hydraulics from the ground. This specialty truck design is available from several manufacturers, and custom versions can be built by request from customers. Utilities tend to be the biggest bucket truck customers. 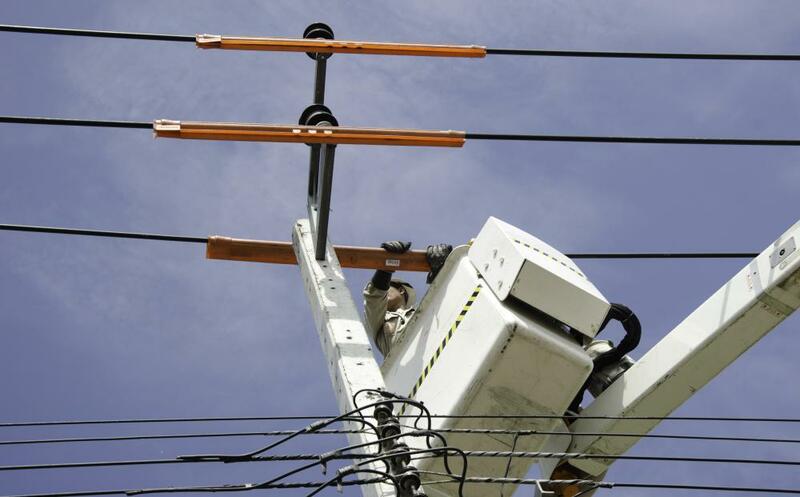 Telephone, cable, and electrical workers all need to be able to access wiring and control panels at the top of utility poles, and a bucket truck can provide a safe and rapid method of access. Tree trimmers may also have use for this type of equipment, as may window cleaners and other professionals who work at great heights. All personnel who perform lift work above the ground need proper training and certification. The typical bucket truck is heavy duty so it can haul the bucket along with the hydraulics. The truck may also have racks or an enclosed area for tools and supplies so the worker can use it as a mobile shop. Anything the worker is likely to use can be stocked on the truck to avoid the need for a return trip to headquarters. To use the truck, the worker parks it, chocks the wheels for safety, and enters the bucket to operate the hydraulics that raise and lower it. Safety procedures with a bucket truck can vary by company and occupational health and safety laws. Some companies require the use of a safety harness in the bucket. The worker also needs to exercise precautions around electrical wires, especially while doing repair work where the wires may be malfunctioning. The use of gloves and other safety gear to prevent electrical shocks is strongly recommended, as is checking ahead to make sure no wires will be live. Proper bucket truck maintenance includes checking over the hydraulic system as well as performing routine work on the truck itself. The high cost of these specialized vehicles means that most employers try to get as much out of them as possible. As utilities and other companies replace their fleet vehicles, they may make them available for sale at low prices. A used truck can be a good acquisition for a new company that needs a bucket truck but cannot afford the price for a new vehicle. What is a Crane Truck? What is a Bucket Loader? I need a wiring diagram for warwick bucket truck controls.